← What is Fiscal Breakeven for Oil States? According to the research team led by Kyoto University Prof. Tsuyoshi Ishida and Assistant Prof. Chen Youqing, CO2 becomes a “supercritical” fluid if it is heated to 31.1 C or more and subjected to pressure of at least 73 atmospheres. A supercritical fluid is very smooth and has properties midway between a liquid and gas. This is one of several “waterless” methods being developed to help develop tight oil & gas deposits. Meanwhile, the world is not finished with coal, yet. And rather than to allow the Ukraine to develop its rich coal deposits, neo-Imperialist Russia is laying Hitleresque plans to “brown-shirt” another annexation. If the eastern regions of Ukraine were ever to shift to Russia’s orbit, Ukraine could potentially lose control of 45.6 percent of its coal reserves. In 2011, the International Energy Agency showed that Ukraine used coal to generate 38 percent of its electricity and 13 percent of its heat sources. The loss of the Donets coal basin, which is three times as large as the Ruhr coalfield in Germany, would be a substantial economic blow to Ukraine. Unless Poland can somehow manage to boost its fledgling shale gas sector or complete liquefied natural gas terminals, it is unlikely that Ukraine’s coal-rich northwestern neighbor can help. By any meaningful measure, Russia is a dying empire (h/t NBF). Tsar Vlad intends to reverse Russia’s inevitable decline by force of will, which is of course futile in the long run. In the short run, the overcompensating little dictator can make sure that Russia goes out with a world-shaking bang, leaving a vast swathe of death and misery in the ruins. Is nuclear power appropriate for sub Saharan Africa? Kenya is one of a handful of SS African countries looking into building nuclear power plants. But even if Kenya farms out the construction of the plant to more advanced international corporations, how could Kenya ever find enough local talent to operate and maintain a nuclear power plant safely and profitably? Average population IQ of all sub Saharan African nations is near 70, which is not nearly high enough to provide adequate talent to support a high tech infrastructure — to say nothing of nuclear technology. The debate over Small Modular Reactors has barely begun. The US government under Obama makes it almost impossible to permit, finance, and build any nuclear plant. But the rules are particularly unfriendly to SMRs, for reasons known only to the ideologues who populate Obama’s administration. Meanwhile, US coal burning plants and coal mines are being shut down by Obama’s EPA, for similarly ideological reasons having nothing to do with the real world. But one area of US energy has managed to evade Obama’s grasp so far: onshore oil & gas on private lands. Companies will spend $35 billion, more than ever, on expansion projects along the Houston Ship Channel by next year, creating a total of 265,800 jobs, a 2012 Greater Houston Port Bureau survey shows. Louisiana, where $60 billion in building projects are planned through 2016, will need 86,300 workers over that time, according to the state’s Workforce Commission. “This is an exponentially larger investment period than Louisiana has ever seen,” said Tom Guarisco, a spokesman for the Workforce Commission in Baton Rouge. Louisiana is just the beginning of the shale oil & gas boom on US private lands. If not for the US oil & gas boom, the US would probably still be in recession, due to Obama’s destructive economic policies affecting most other economic sectors. On US federal land, oil & gas production is in decline, thanks to Obama. US offshore oil production is also still being suppressed by Obama policies. So: Obama policies suppress coal, nuclear, offshore oil, federal land oil & gas… In 2016 — Obama’s last full year in office — his EPA is set to announce the results of scientific studies of fracking, which are currently being kept secret for some reason. Presumably, new regulations would be introduced simultaneously, which would not likely be friendly to the ongoing US energy bonanza. But will Obama pull the plug on the US economy in 2016, even if a fellow Democrat is elected to the White House? What more could he do to weaken the US? Wait and see. Meanwhile, Europe’s fear of shale oil & gas production is driving it toward much greater use of coal. Call me wacky, but there is something in Europe’s energy policies that strikes me as more than a bit cracked. In the long run, nuclear energy’s massive energy density guarantees that intelligent societies will master the nucleus. In the short run, humans will have to use their hydrocarbons wisely in the time it takes them to become more enlightened on energy matters. The real goal is to keep Europe dependent upon Russia for its fuel supply. Natural-gas prices in Europe are quadruple those prevailing in the United States, and by maintaining a near-monopoly on overpriced European natural-gas imports, the Putin regime assures itself of a vast source of revenue. This allows it to rule and rearm Russia without permitting the freedom necessary to develop the country’s human potential. Furthermore, so long as Europe is kept critically dependent upon Russia for fuel, Moscow can paralyze and render ineffective any Western response to its plans for conquest, whose initial steps are currently being demonstrated in Ukraine. More, and much worse, is certain to follow so long as Europe remains helpless. In a recent four-hour television appearance in Moscow, Putin explicitly embraced Kremlin fascist ideologue Alexander Dugin’s grand design of creating a united totalitarian Eurasia, “from Lisbon to Vladivostok.” If he can maintain control of Europe’s critical fuel supplies, he just might be able to pull it off. So it should come as no surprise that the Putin regime is pulling out all the stops in fomenting the global anti-fracking movement, with Europe as its central target. Leading the propaganda campaign has been RT News, Russia’s state-owned television network, which broadcasts around the world in English and other languages. 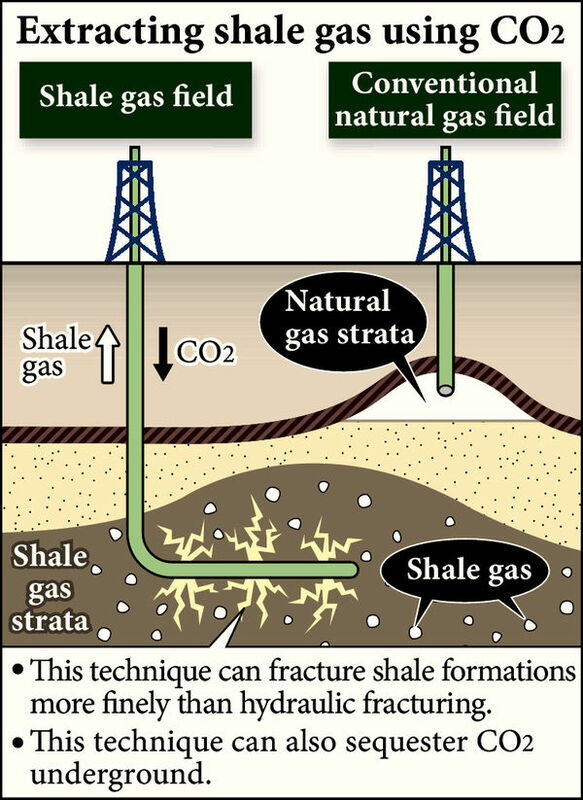 This entry was posted in Energy, Russia and tagged Shale Boom. Bookmark the permalink. Stop the drugs. Get serious. Russia is NOT a dying empire. Maybe the US is, but not Russia. And the Ukrainian crisis is entirely of our own making. Russia is merely responding to our aggression. Face it. The US is the evil empire. Its government is illegitimate, lawless, violent and corrupt. What other regime spies on all of its citizens, asserts the right to (and does) murder its own citizens without any judicial process and overthrows legitimate, freely and democratically elected governments, pretending the juntas it installs are real. Your hatred of Russia and Russians is pathological. If you want something to hate, hate the regimes in the US and the EU, which are the real threat to the peace and security of the world. “Its government is illegitimate, lawless, violent and corrupt. What other regime spies on all of its citizens, asserts the right to (and does) murder its own citizens without any judicial process and overthrows legitimate, freely and democratically elected governments, pretending the juntas it installs are real.” Yes, you have described Putin’s Russia quite well. Some aspects of your description also apply to Obama’s US, although to a lesser extent. There are no good guys. But what you describe has nothing to do with whether or not Russia is a dying empire. It is difficult to focus when one’s emotions are involved, but if one would look at Russia’s brain drain, capital flight, womb drain, high death rates from multiple and particular causes which suggest a deep national malaise, rapid depopulation of its wealth-bearing land, unmatched (outside of the third world) levels of corruption and centralisation of power and wealth, precarious dependence on global prices of specific commodities, lack of diversification of economy, and rapid replacement by anti-Russian muslims — then one comes closer to understanding a few of the underlying weaknesses within Tsar Vlad’s brave new empire. As I patiently explained to another russophile commenter, I do not hate Russia or Russians. I love Russian women. I love much of the Siberian countryside which reminds me of Alaska. There is much about Russia (outside of its government) to admire. Putin, and his neo-oligarchs, on the other hand, are vile, robbing Russia blind for their own purposes, declaring the great new Russian empire, while the real Russian people are disappearing from history and being replaced by people who could never have built modern Russia — decaying though it may be. Bob, we have our problems, sure. However, alfin is correct that Russia is far more screwed up than us. When the Soviet Union collapsed, my friends and I thought that a lot of Russian space technology would get commercialized. I thought the Russian design bureaus would get together and present effective competition to Boeing and Airbus in airliners. I even thought that, once freed from the constraints of communism, that the Russians might make a decent low-end car for the international market, much like how the Koreans entered the market in 1986. Despite having decent engineering and technical talent, the Russians have been unable to produce and sell any manufactured products to competitive international standards, more than 20 years following the collapse of Soviet Communism. This alone tells me that there are serious problems in Russia, far worse than our own.